Records - records - records. 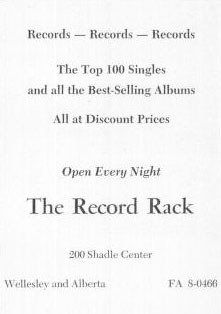 The top 100 singles and all the best-selling albums all at discount prices. Open every night. FA 8-0466.